Halkieria evangelista (45 cm. ventral side). Supervised by Jakob Vinther, Yale. 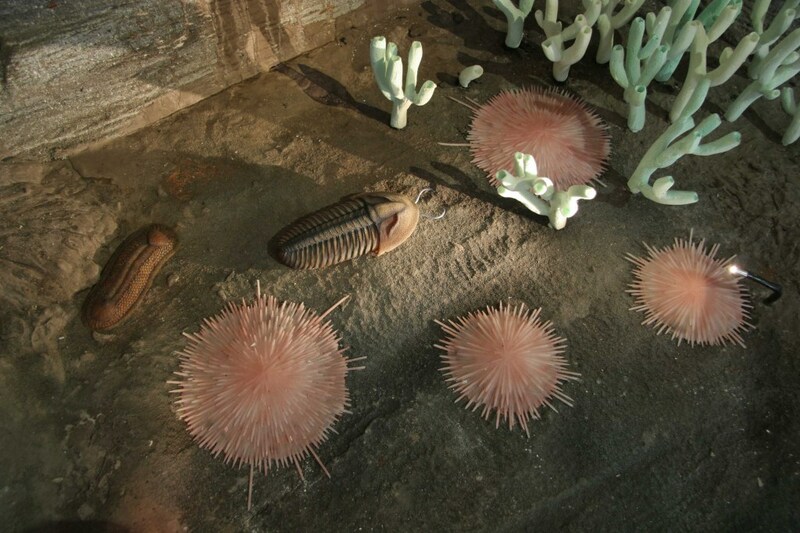 Fossils of Halkieria evangelista were found in the North Greenland Sirius Passet Lagerstätte, in which complete specimens were collected on an expedition in 1989. The halkieriids are a group of fossil organisms from the Lower to Middle Cambrian. They have been found on almost every continent in Lower to Mid Cambrian deposits, forming a large component of the small shelly fossil assemblages. 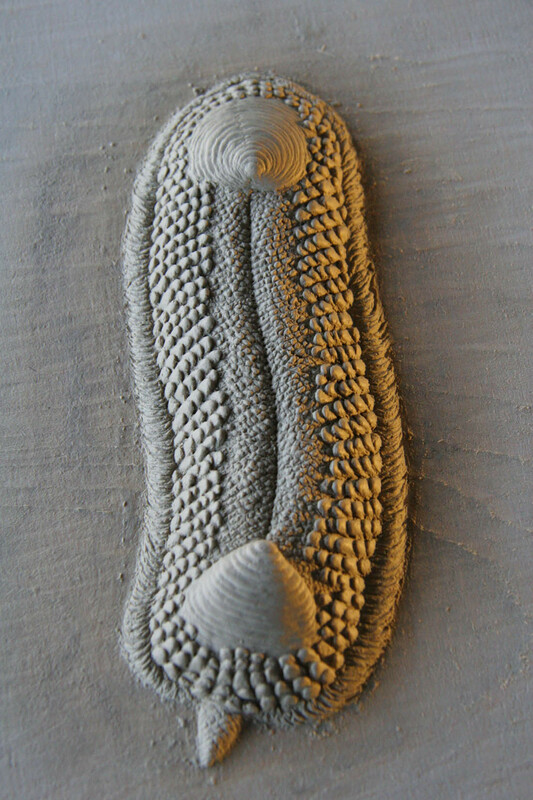 The animal looked like slugs in chain mail - 1.5 centimetres to 8 centimetres long, bilaterally symmetric, flattened from top to bottom and unarmored on the bottom. Very near each end there is a shell plate with prominent growth lines rather like the growth rings of trees. The rest of the upper surface was covered with about 2,000 sclerites that overlapped each other like tiles and formed three zones with sclerites of different shapes. The shellplates were probably made of calcium carbonate, and made detailed fossilization possible. The sole was soft and probably muscular. 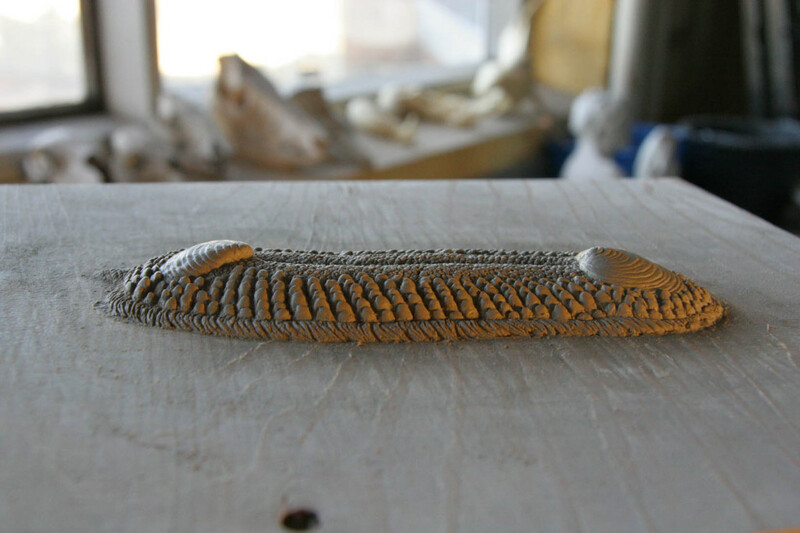 Since Halkieria was unsuited to swimming and had no obvious adaptations for burrowing, it must have lived on the sea-floor, "walking" by making its muscular sole ripple. The backward-projecting siculate sclerites may have improved its grip by preventing it from slipping backwards. Some specimens have been found partially rolled up, rather like a pillbug, and in this position the cultrate sclerites projected outwards, which probably deterred predators.